Fun Day Events is a family business based in Portsmouth, Hampshire and London UK. Owing to the fact that every single event is totally unique, it would be impossible to provide a selection of pre-determined prices. However we feel its extremely important to provide some information on our website to allow us to highlight the excellent value for money we offer our clients. We also offer discounts for booking multiple services from us, just to tempt you a little i.e Popcorn Machine and Candy Floss, Hotdog Machine, Photh Booth, Slush machine. Portsmouth,Romsey, Seaford, Southampton, Tonbridge, Tunbridge wells, Worthing and surrounding. Supplying brewery dispense technical services to Hampshire,Kent, Sussex and Surrey. 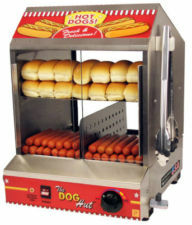 about Hire Photo Booth hire bouncy castle popcorn machine slush machine candy floss hotdog cart /machine.